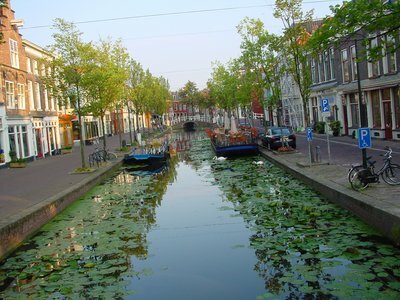 Discover Delft from the water and make a (covered) canal boat tour through the gorgeous Delft canals. 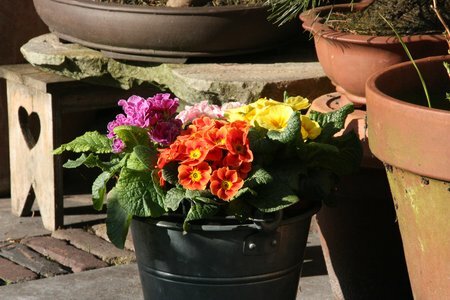 Happy Day Tours offers several boat trips combined with walking tours. Daily (from Easter till September, In October Sa) you can participate in the Delft City Tour. In two hours you will gain a thorough knowledge of Delft. 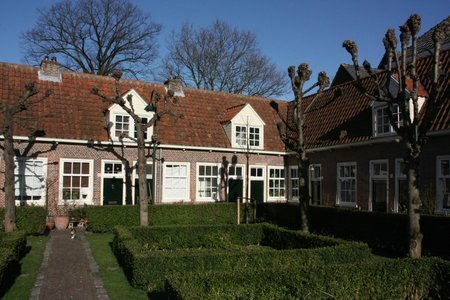 You will be taken on a guided walk through the historical centre of Delft and shown all the highlights of the city. 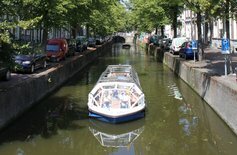 Before or after the guided tour you can sit back and relax whilst a trip by boat takes you through the beautiful canals of Delft. 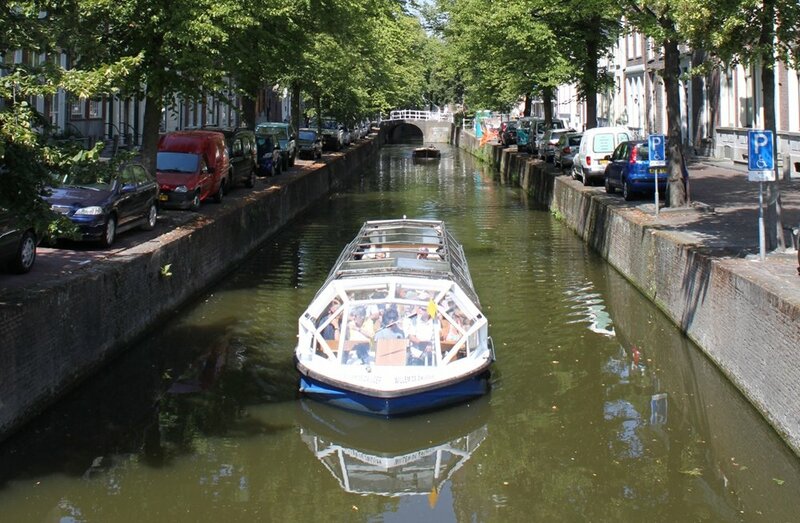 After a (covered) canal boat tour our enthousiastic and professional guide will walk you to several charity courts in order to discover and enjoy the tiny houses and their stories.